Chaingangs start again on Tuesday 2nd April 2019. Please bring lights! There is already an established chaingang that goes out every Tuesday night in the summer at 6.00pm from the Nova Scotia pub, BS1 6XJ. 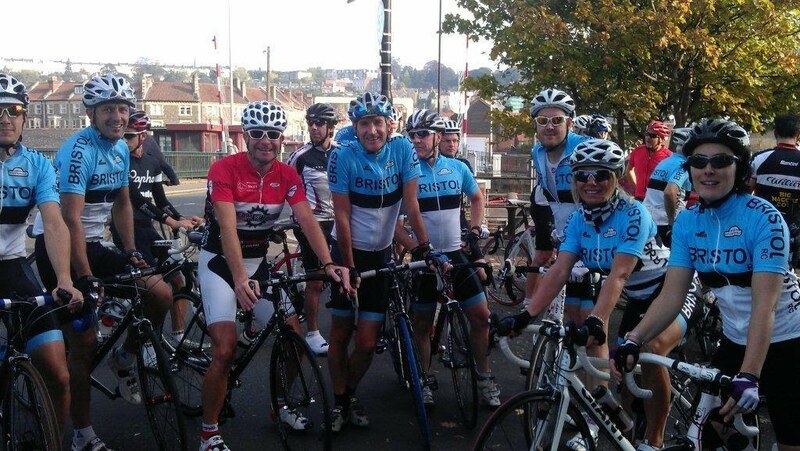 This has been going for more than 20 years and is not club specific and not managed by Bristol Road Club, however you can join it if you are an experienced rider that knows how to ride through and off, fast and safely, with the emphasis on safely. This is a very hard training session and not suitable for inexperienced riders, no matter how strong you may be. It will usually leave the Nova Scotia about 5 minutes after the main chaingang. Riding on open roads in a group can be hazardous. All riders are reminded that they are responsible for their own safety, individuals take part in any group activities at their own risk. We strongly urge all riders to obtain appropriate 3rd party insurance as a minimum, British Cycling can provide this. All riders should carry identification on them which includes an emergency contact name and emergency contact number as well as any medical conditions that paramedics should be aware of in the event of an accident. Turn on Show When Locked to make your Medical ID available from the Lock screen. It should be noted that no liability shall be attached to the Bristol Road Club (including its officials and members) for any injury, loss or damage suffered. Before you come out, please read and view the two links below on how to ride in a chain gang and confirm that you have done so. 2. British Cycling video to explain how to ride properly in a chain gang. It's a chain because each rider is closely linked to the rider in front and behind, remember that and don't surge through!